✅ Trip Verified | Sagwon to Hyderabad. We had a very bad experience with airlines and the staff. The flight was supposed to depart by 5 pm. We were waiting in the queue for boarding and there is no response from air india staff. After enquiring many times at 4:40 they informed that the flight got canceled. How could airlines cancel the flight at the last moment. This is a second bad experience. Even taxi drivers at Shirdi airport are saying the flight is canceling very frequently and Pls don't relay on air india. If this is the case why are troubling us. Stop running the service. I want to go rating below zero. Unfortunately there is no option for that. ✅ Trip Verified | Pune to Sydney via Delhi. My 60 year old mother with limited English speaking completed Delhi to Sydney on 15/03/2019. The flight departure time was 13.15 pm however it departed on 22.30 pm as the flight got delayed way too much and caused a great inconvenience & stress. Till the day we never know the real reason for the delay. The only great thing they did at least supplied food in the afternoon. We contacted Air India regarding compensation for delay however, the request was denied. 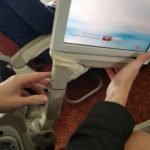 It is one of the most expensive airlines with such a poor service. ✅ Trip Verified | Hyderabad to New York via Delhi. When I saw there is a delay in my first flight from Hyderabad to Delhi, I reached out to Customer service and they said we need to talk to someone at the airport counter to get alternate arrangements. we went to Airport counter and explained the situation. They said the next flight (AI101) would wait until all the passengers are boarded. 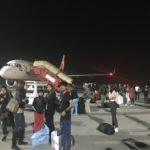 By the time we arrive in New Delhi AI101 flight already left and now they are saying next flight would be next day same timings and until then they are going to provide accommodation and food. I dont understand how come these guys are so reckless in handling the customers. Everyone has their own schedule and some wont be able to break it. ✅ Trip Verified | Delhi to San Francisco. I was appalled by the lack of cabin services. None of the TVs worked in rows 30-32 across all seats in spite of repeated resets by the crew. Imagine that on a 16+ hour flight. The remotes did not work and neither did the reading lights. So, I was unable to read as well. I did not see the slightest smile on any of the crew members. I know we have come to expect poor service on airlines but this kind of customer service is unacceptable. Is this how Air India is representing the national airlines of India? Shame on them. ✅ Trip Verified | Sydney to Mumbai via Delhi with Air India. The inflight services were pathetic. The crew were negligent, directed to the wrong seat and then made it look like it's your fault when the passenger claimed her seat. Embarrassing! Requests for a blanket was forgotten/ignored. Outdated inflight entertainment films. Flight was delayed over 2hrs and Baggage did not arrive at destination. Luggage arrived after 8 days, after numerous calls and emails. Ruined my holiday. No decency to provide updates. Pathetic customer service. What more could go wrong? All this is worth INR 3000 compensation! Worst airlines ever! 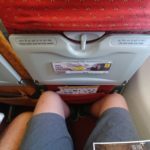 Worst flight experience ever! First and last time. ✅ Trip Verified | Chennai to Delhi. 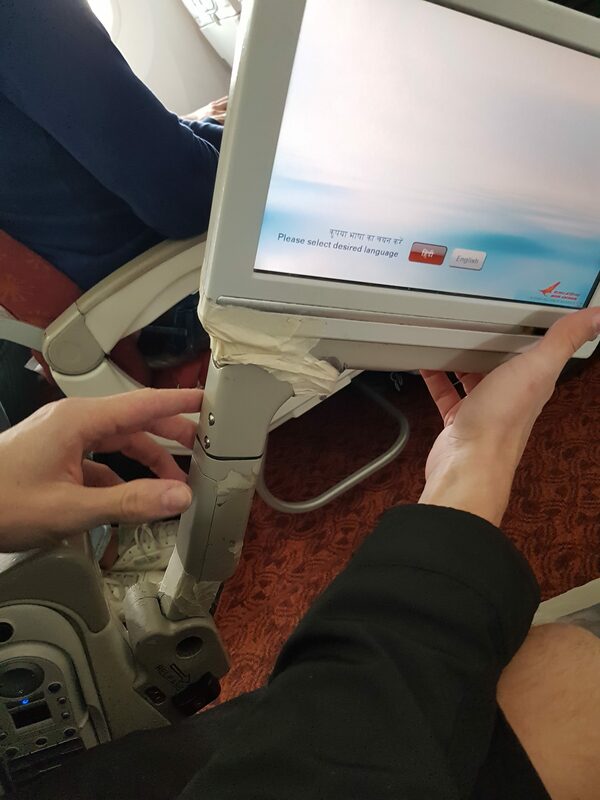 Excellent service by the airline. I am very happy and would recommend it. They provided food and blankets in domestic flight as well. Keep up this service. ✅ Trip Verified | Washington to Delhi. Poor Customer Service. Difficult to get in touch with US Staff. Inidia Phone Staff is not supportive and not clear. I made a mistake in booking. Usually, you should be able to cancel or make changes within 24 hours. The staff was charging money for cancellation within that timeframe as well. "It is an absolute joke"
Not Verified | Birmingham to New Delhi. We have not yet flown but in the past 3 months have found Air India the worst airline I have ever booked with and I am well travelled. I booked the flight in my maiden name but my passport is in my married name. I tried to seek an amendment but was told it was not possible. I had to cancel it and rebook the flight for double the fare. Air India have took it upon themselves to cancel the flight! It is an absolute joke. "delays still affecting Air India"
✅ Trip Verified | Mumbai to Bengaluru. I had rushed in order to check in for this flight and to drop my baggage because I was running late and I noted that the flight which was supposed to depart at 8.15pm was instead rescheduled to depart at 9pm due to the late arrival of the incoming flight which ensured in an ironic way that I was able to check in successfully for this flight although for other pax, it must have surely been an annoyance. I have travelled very frequently on the BOM-BLR route and vice versa and I have always observed that this route is almost always delayed which is not ideal and perhaps the airline should do something in order to reduce the delays. The boarding started 1 hour 15 minutes after the original departure time. The load was quite full for this flight as there were many office goers who were returning back from work. Dinner was served on this flight which consisted of a vegetarian fare of mixed vegetables and dal rice followed by gajar halwa and dahi vada for dessert. The food on Air India's flights has always been sumptuous and this is one of their main USP's. Landing was of-course delayed but the disembarkation and baggage retrieval was done very swiftly. The flight in itself was very comfortable and even though it was delayed, it ensured that I was able to make the flight on time although flight delays is something that is still affecting Air India and unless and until they can find a way to resolve these issues, the airline will be at a disadvantage as compared to other rival carriers. Hopefully they will take note and try to rectify these issues surrounding flight delays because from my observation, most domestic pax prefer not to waste time on delays and get from their origin to destination with minimal fuss. 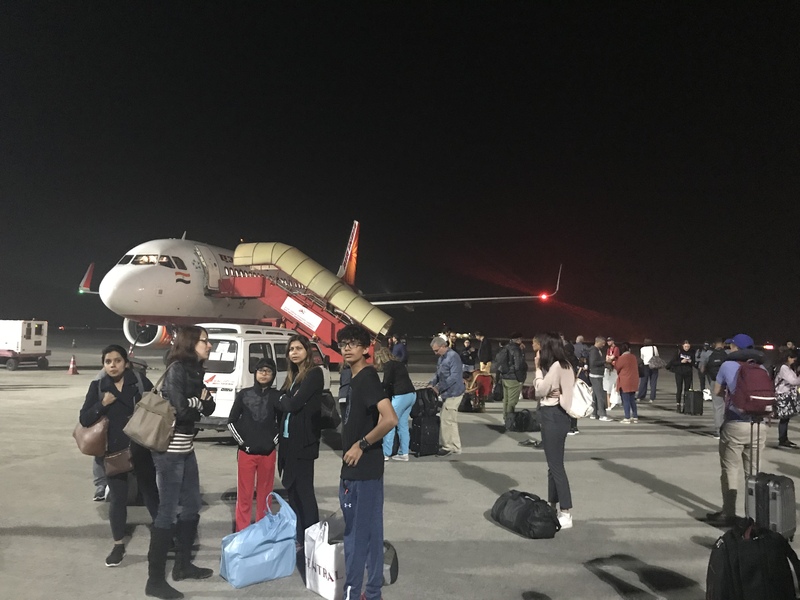 ✅ Trip Verified | The return flight from San Francisco to Delhi was scheduled for a late night departure and being quite empty ensured that there would be sufficient seats to stretch out to sleep. The flight departed on time for this epic 18 hour flight which was flying eastwards. The crew were very helpful and assisted a lot. There were 3 meal services offered on this flight (refreshments / lunch / dinner) including alcoholic / non alcoholic beverages so this ensured that satisfaction was there. Throughout the flight, I was able to rest comfortably and was even able to watch a movie or two which was very good. As the Pakistani airspace still remained close, the flight has to go through Mumbai / Gujarat before arriving at Delhi and yet the flight still landed 15 minutes ahead of schedule. Reached the destination fresh which was very important during this long haul flight. Thank you Air India for such a wonderful flight. 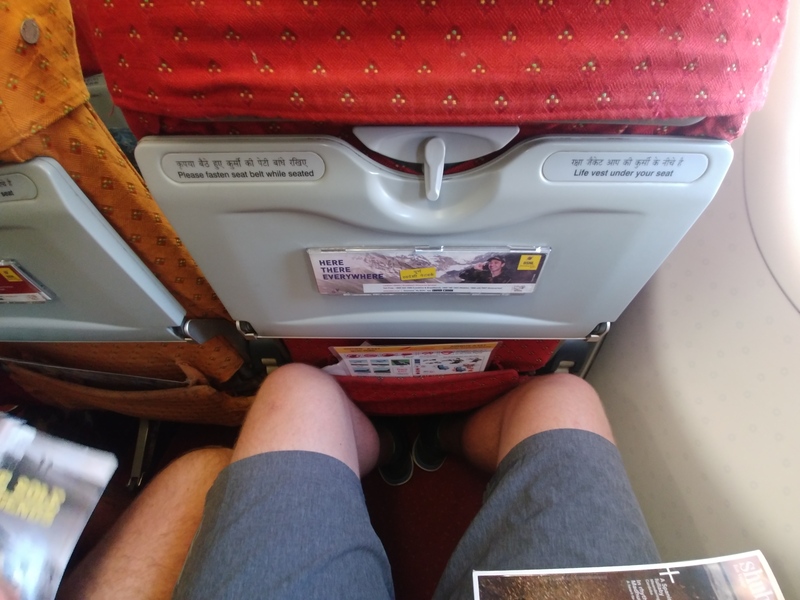 Air India may not be a luxurious airline but it is much much better than what people think. For anyone travelling to the west coast, I would highly recommend this product as it provides great value for money and reduces the travel time considerably.